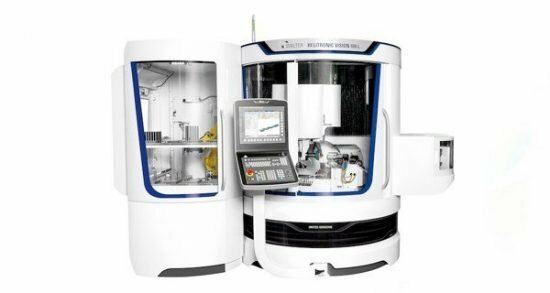 With an identical work area size compared to its predecessor, the new machine produces tools with a circumferential machining length of up to 420 mm compared to the former 370 mm as well as diameters from 3 to 315 mm. The polymer or mineral casting machine base and portal design for extreme rigidity translate the high dynamics of the digital drives into virtually vibration-free grinding precision. The wheel changer is capable of changing grinding wheels up to 254 mm in diameter and up to 24 grinding wheel sets. Tornos has launched a new range of SwissDeco machines, the SwissDeco 26 And SwissDeco 36. Designed to tackle demanding tasks in any application field, they contain identical main and back machining operations and feature liquid cooling. Its bar diameter stretching furthest at 25.4 mm, SwissDeco 26 can reach a speed of 10,000rpm in a few tenths of a second. Featuring a clamping force of 14,000 N, the spindles achieve a torque of 27 Nm. The SwissDeco 36’s bar diameter is 36mm, with a clamping force that can reach 25,000 N. Its maximum spindle speed is 8,000 rpm, enabling a maximum torque of 53Nm. Both models come equipped with a guide bush with integrated synchronous motor and ceramic bearings. 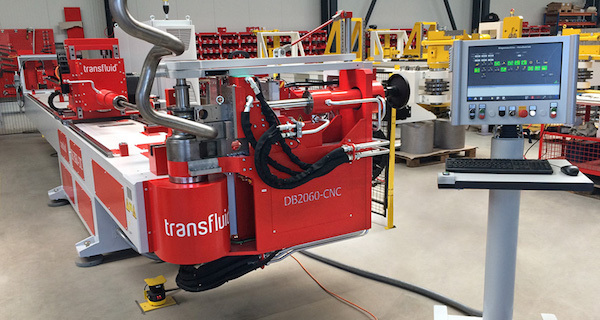 transfluid’s t-bend DB2060-CNC is a precise engine manifold with two blade cutting, that effectively combines cutting, bending, and shaping. A significantly cleaner cut is ensured where two blades are used for cutting. This has the advantage that no deformation occurs on the pipe, producing an absolutely straight separating cut that runs from 2 to 3 mm, depending on pipe size. The machine can process tubes up to a diameter of 60 mm in practical applications and is designed so that all of the tools are interchangeable and shared. This system is able to produce a set of tubes for an engine manifold, consisting of four different tubes, without the need for follow-up cutting. The miniature medical manufacturing industry is one of the world’s fastest growing industrial sectors and the demand continues to increase for smaller, more intricate and accurate medical industry parts. 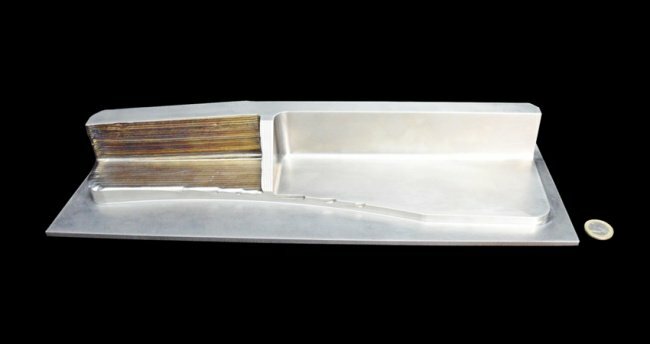 Machining intricate and minute devices, often using hard-to-machine metals such as titanium, represents a major challenge for metalworking shops, which need to develop a range of advanced capabilities to meet these specialised demands, especially when involved in small batches and prototype work. Mindful of the specific requirements of this challenging sector, Iscar conducted numerous research and field trials to develop a new range of cutting tools for miniature parts production in the medical industry. In addition, a series of modifications were applied to existing popular tools to enable the efficient and economical machining of miniature parts. Iscar’s expanded range of machining solutions for small scale cutting tools was made possible by developing user-friendly quick indexing inserts, suitable tool geometries, and by designing ultra-secure clamping systems. Incorporating a jet high pressure (JHP) coolant channel, the GEHSR/L-JHP-SL tool family is an improved version of the popular GEHSR/L screw-clamped tools. The tools are designed for Swiss-type and screw machines. The insert clamping system enables the inserts to be fastened using a key from either side of the tool: the torx screw is inserted on one side, while a specially designed plastic screw blocks the opposite side to prevent chip entry. If indexing is required from the other side, the screw can be switched to the opposite side of the tool. The GEHSR/L-JHP-SL tools are manufactured in 10 mm, 12 mm and 16 mm shank sizes to hold GEPI and GEMI inserts carrying different chip former geometries, and the inserts range from 2.2 mm to 3.2 mm widths. Integrated jet high pressure coolant channels extend tool life and improve chip evacuation. Turning small parts requires light cutting parameters, making small sized economical inserts more suitable than large inserts for this type of machining. The shorter head design of the GEHSR\L tools allows higher rigidity and improved machining stability, which enables the application of higher cutting conditions to enhance surface finish. 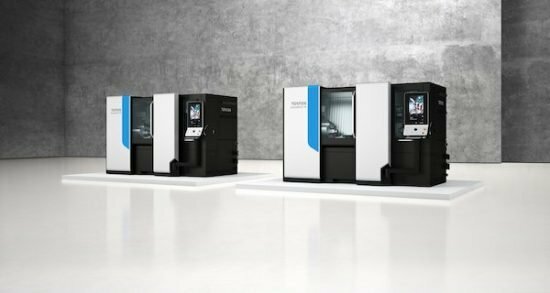 A new Swisscut XL line featuring up to 10 mm grooving depth capability has been designed to enable deeper machining than that provided by the Swisscut Innoval line, with the aim of reducing the number of items needed by half and cutting users’ inventory costs. The clamping design uses a special screw that can be accessed and operated from both sides of the tool, enabling inserts to be indexed without the need to fully remove the screw. This represents a significant improvement over existing tools, where the clamping screw must be fully removed for insert indexing and can easily fall and get lost. 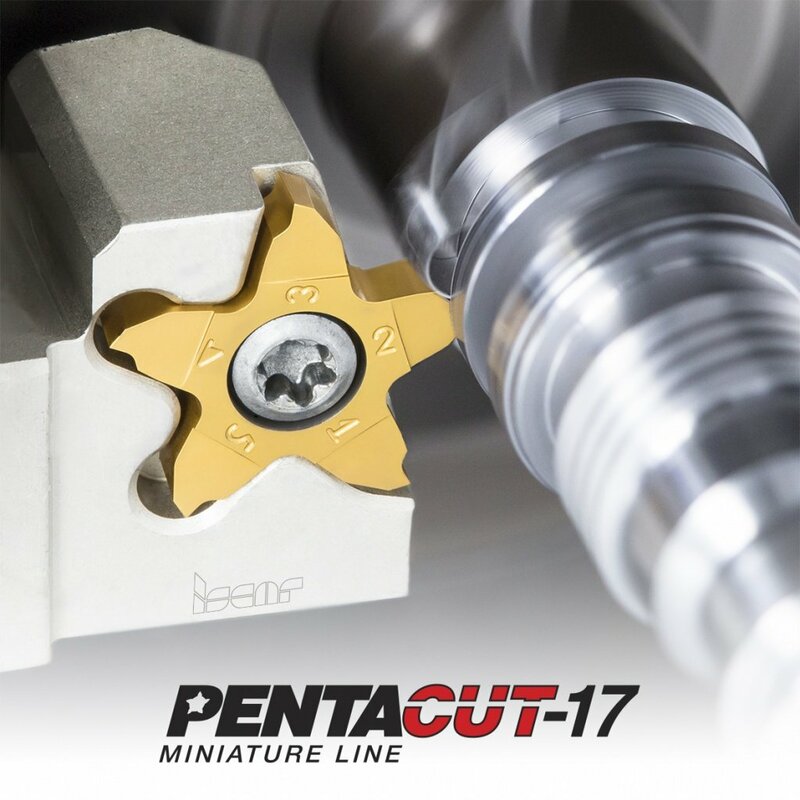 The Pentacutline now includes 17 mm diameter Penta inserts, designed with five cutting edges for machining miniature parts with up to 4 mm maximum grooving depth capability. The inserts are produced in a range of widths from 0.25 to 3.18 mm, with different edge configurations for parting, grooving, turning and threading. The growing demand for high accuracy and flexibility in clamping orientation brought about an advanced new series of tool holders developed by Iscar, the Piccoace range. Featuring a patented clamping system, the tool holders set new standards in three highly important areas – accuracy, rigidity and clamping orientation flexibility. The tool holder is capable of fast action and very secure clamping system and it increases machining efficiency by saving time when replacing an insert, ensuring rapid indexing and guaranteeing high clamping repeatability of 0.005 mm. 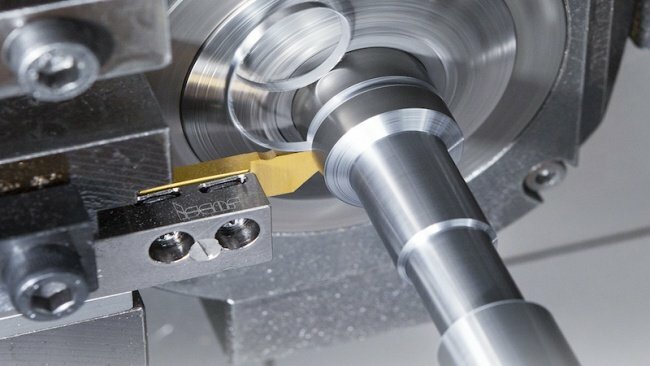 The wide variety of Swiss-type machines available today has increased the need for multi-orientated clamping; however most of the existing tools provide a single clamping orientation. Operators are able to install and remove the boring tool from any direction. To maximise the possibilities for small scale tooling, an option is the MIFR 15 inserts and tools for face grooving up to 15 mm depths and turning operations. The 5 inserts are screw-clamped into a long pocket on the MIFHR -15 bars with very rigid clamping, enabling high machining parameters and resulting in prolonged tool life. The line also includes MIFR 15 inserts in 2.5 mm, 3 mm and 3.5 mm widths, as well as full radius 2.5 mm and 3 mm inserts made from IC908 grade. To accommodate small boring diameters, Iscar has expanded its internal turning application range by introducing new positive and negative boring tools with steel and solid carbide shank options and new small size inserts. Each of the new tools features coolant channels directed precisely to the insert’s cutting edges. The tools carry new positive (single-sided) ground EPGT and CCGT inserts. EPGT insert has a 75 deg geometry designed for a minimum bore diameter of 4.5 mm. CCGT insert features an 80 deg geometry for minimum bore diameter of 5 mm, with shank sizes in a diameter range of 4 mm to 7 mm. Tools for negative (double-sided) inserts D min=12 mm carry ground WNGP and DNGP inserts. WNGP has an 80 deg geometry for a minimum bore diameter of 12 mm and DNGP features a 55 deg geometry for minimum bore diameter of 13 mm, with shank sizes in a diameter range of 10 to 20 mm for forward and back turning operations. In addition, there are also new double-sided inserts with four cutting edges present an alternative to the conventional ISO standard positive inserts with only two cutting edges. The new double-sided VNGU, CNGX, CNGG and CXMG inserts operate similarly to positive inserts with the same corner angles, providing addedadvantage of double cutting edges. The small diameter range of the Sumocham hole-making line includes new drilling heads and tools covering diameters of 4 mm up to 5.9 mm, with 0.1 mm increments. The 4 mm to 5.9 mm drilling range is covered by four sizes of Sumocham Dcn drill bodies in 3xD and 5xD length to diameter ratios; and is designed especially for this industry. A user-friendly key was specifically developed to enable easy mounting with no set-up time. The medical device and implant industries have made major and highly significant advances in miniaturising medical parts; it is up to cutting tool manufacturers to enable the realisation of these achievements by providing the tools for the job, however small. Roughing and finishing turbine housings is particularly challenging in the case of passenger cars with spark-ignition engines. By Lim Gan Shu, marketing manager, Walter AG Singapore. Downsizing makes engines more economical. In order to ensure that their performance is not compromised, turbochargers are increasingly being used to compensate in smaller vehicles. The market is growing – but so is the pressure on prices. Vehicle fuel consumption needs to be reduced – not just in the lab. Legal provisions from all over the world are driving the automotive industry to implement measures in almost every vehicle class. This has given rise to huge challenges for the automotive industry. 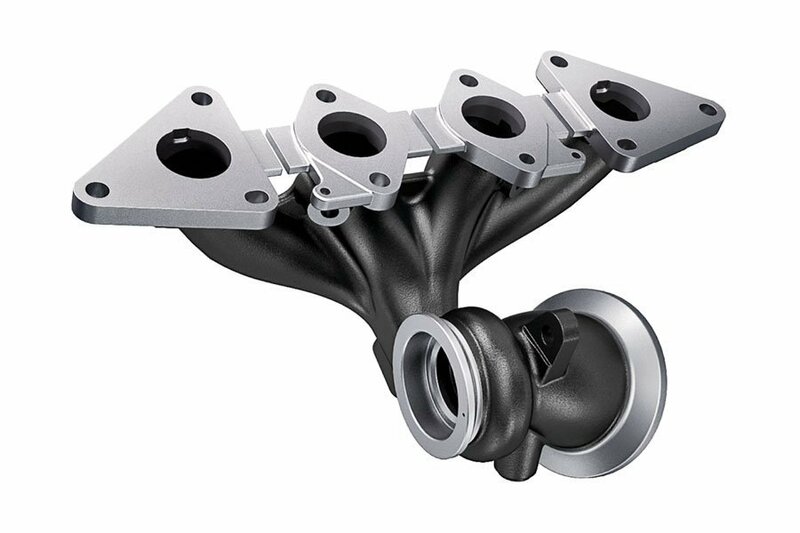 An important factor: Turbochargers that squeeze high performance out of small yet efficient engines. 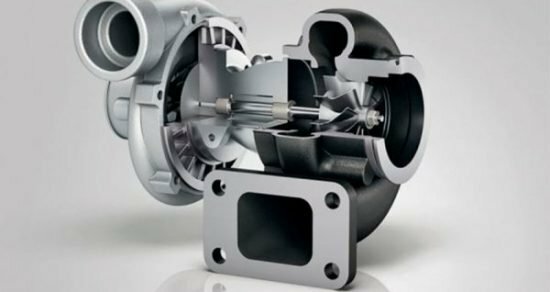 However, the turbochargers themselves are also under pressure to be smaller, more efficient and, importantly, more cost-efficient. “We expect—and studies by leading turbocharger manufacturers agree—that the number of turbochargers used for petrol engines will experience a 2.5-fold increase over the next five years,” says Rolf Buob, component manager for turbine housings at Walter AG in Tübingen. 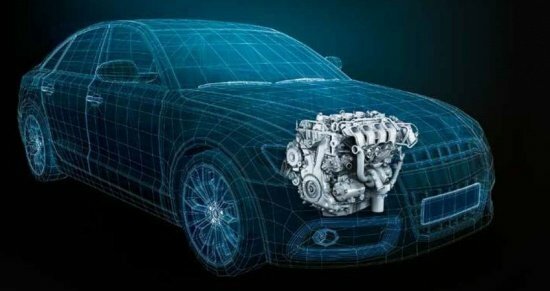 Currently, turbochargers for petrol engines place particularly high demands on machining when compared with diesel engines. The exhaust gases in the turbine housing reach temperatures of between 1,000 and 1,050 °C; in diesel engines, however, they reach relatively low temperatures of between 800 and 850 °C. “Temperatures of 1,000 °C or higher require high temperature-resistant steels, typically chrome-nickel alloy steels that have a material identification number beginning with 1.48 and ending in 49, 48, 37 or 26 – with a tendency towards the material identification number 1.4826. These 1.48 steels are constantly being developed further and it is becoming more and more difficult to machine them,” explained Mr Buob. They also make the turbine housing the most expensive component in terms of machining. Mr Buob explained further: “We anticipate different machining costs for each component, depending on the presence of an exhaust manifold.” Above all else, a high chrome content reduces service life. “There are applications where tools only last long enough for twenty to thirty components.” For comparison: The materials used for diesel engine turbine housings extend the service life by up to five or ten times, while also being 50 percent faster to machine. Walter machining experts have therefore developed a new milling cutter concept especially for roughing, semi-finishing and finishing turbocharger housings. It reduces the all-important cost per finished part, while also significantly improving surface quality. Over the course of the development process, the cartridge system used for finishing, which had previously been the norm, was replaced with an intentionally simple tool design with a fixed insert seat. This “plug-and-play” solution eliminates the need to carry out presetting operations, which required accuracy to between 3 and 5 µm. Further saving measures: The use of identical indexable inserts with 16 cutting edges as semi-finishing and finishing inserts. Previously, the market standard was to use 12 for semi-finishing and four for finishing. This also simplifies inventories and eliminates errors when changing the indexable inserts. The indexable inserts are coated with PVD or CVD and are available in various geometries. Indexable inserts belonging to the Walter WSP45S or WSM45X grades are typically used. 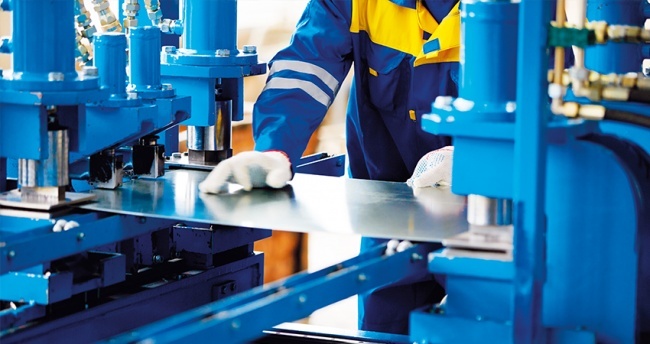 Short cutting edges reduce the pressure on the unstable components. This results in reduced vibration, which improves surface quality, increasing it from the usual Rz 7-8 to approximately Rz 5. “Overall, these measures lead to improvements in handling and process reliability,” said Mr Buob. As a rule, every third to fifth insert is positioned differently on the finishing tool. The position of the semi-finishing inserts can be adjusted by approximately 5° in the same way as when carrying out rough machining; the finishing inserts are inserted so as to cut in a flat plane. The cutting speed when finishing is approximately 140 m per min at a feed rate per revolution of up to 4 mm. This milling cutter is also available for machining allowances of up to 3 mm for roughing in particular. Here, the indexable inserts are aligned uniformly both axially and radially, in contrast to the finishing face mill. They all have the same function for machining operations. However, the new milling cutter concept does not mean that development has finished. Walter is expected to make further advances involving new PVD coatings that are currently still in development. Walter has developed a new milling cutter system to meet the specific requirements of thin-walled turbine housings. Changes in micro-stresses within CNC machine tool structure, caused by contact between tooling and work-piece, generate high frequency signals known as acoustic emission, or AE. It’s best described as the phenomenon of radiation of acoustic waves in solids that occurs when a material undergoes irreversible changes in its internal structure. It also generally refers to the generation of transient elastic waves produced by a sudden redistribution of stress in a material. When a structure is subjected to an external stimulus (change in pressure, load, or temperature), localised sources trigger the release of energy, in the form of stress waves, which propagate to the surface and are recorded by sensors. AE signals can be detected using an Acoustic Emission Monitoring System (AEMS), and used for advanced machine process control. With the right equipment and setup, motions on the order of picometers (10 – 12 m) can be identified. vDetection and analysis of AE signals can supply valuable information regarding the origin and importance of a discontinuity in a material. Because of the versatility of Acoustic Emission Testing (AET), it has many industrial applications (eg: assessing structural integrity, detecting flaws, testing for leaks, or monitoring weld quality) and is used extensively as a research tool. In the case of grinding machines, this high frequency structure borne noise is created when the grinding wheel touches the part, or the diamond dresser. AE signals travel through solid materials, for example, tooling, with high velocity, meaning they are an ideal parameter for the detection of grinding wheel contact within milliseconds of time, or microns of axis travel. Double disk grinding (DDG), a form of face grinding, is no exception. The recent application of the AE system to a DDG grinding process for rolling element IR (Inner Race) bearing faces resulted in 0.5 seconds saving on a 3.6 second grind cycle – a 14 percent reduction. In this case, the saving was made by using the system to detect contact between grinding wheels and work. The process, also known as GapElimination or GE offer the ability to detect part contact in less than 1 millisecond. It also allows higher machine feed-rates, and less air grinding time, typically saving anywhere from 10 percent to 20 percent of cycle time. Correct AE sensor location and mounting on the machine is critical. To achieve maximum sensitivity, best AE signal path and biggest cycle time reduction, a non-contact acoustic sensor was mounted on the rotary loader spindle. The corresponding stator was mounted on the guard door of the loader. Acoustic emission sensors can also be used for dressing monitoring on double disk grinding machines — either point or rotary diamond units — giving dresser touch detection, accurate machine indexing and monitoring of dressing profile. For maximum efficiency gains the system can be interfaced with the machine CNC or PLC via hardwire, profibus or Ethernet protocols. The SBS AEMS system is a permanent installation on a machine tool, and is available to machine manufacturers or as a retrofit package to end users. SBS can combine acoustic emission signals with other measurable machine parameters such as spindle power and work-piece RPM using a system called ExactControl. Acoustic emission sensor rotor on loader spindle. Double disk grinding process with rotary loader.